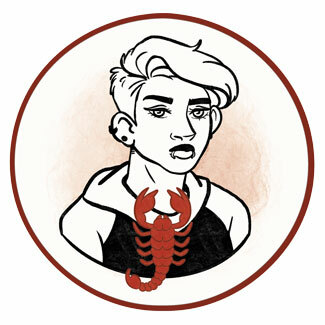 October 28th is another turning point in Sun's transition through Scorpio, as it brings the necessity of change with urgency that cannot be ignored. People born on this date feel the need to push themselves over their sensitive emotional limits and find themselves in fragile situations that could get them hurt one too many times. This is a row of high sensitivity and those born on October 28th have their heart to attend to, before taking any rash, instinctive moves. To avoid unnecessary pain in their life and cuts and bruises that don’t have to be obtained, they are to slow down, breathe, and learn to combine their instinct with their emotional side as tenderly as possible. They will sometimes be silent, as if they were always expecting the next move of people in their life, and sometimes aggressive in their ways, imposing emotional clarity on those who aren’t ready to break their defenses just yet. The battle of ego and colliding loyalties is to be overcome in their life, and they are to always remember that there is a middle ground for any conflicted situation that might arise. Struggling won’t get them far and if they resist from the point of distant fences of their inner world, they won’t find the touch of souls and the point of contact for their close relationships. Their shields should be down only when they feel intimate and warm around someone, and their self-respect is to always be unquestionable. These lines connect lives of those born on this date with faith and special repetitive choices, rituals and routines that make all the difference and bring light or strength into their world. While they may be a bit superstitious, they are able to see frail synchronicities of the outer world and if they develop their talent and read all those signs by the road, they will learn to follow the flow and embrace all storms and highs and lows of the tides. With Moon standing as their guiding light in this lifetime, we can see that an incredible level of tenderness and acceptance of all their emotions is needed to blossom. They need support and they will find it only if they allow themselves to feel whatever they might be feeling, even if those emotions are ones of anger, hate, jealousy, powerlessness or sorrow. All emotions in their life are there to be let go of, showing the way towards new experiences they are meant to embrace. The importance of emotional clarity in lives of those born on October 28th is vast and always presents the main issue they need to attend to. Relationships will manifest and mirror their own inner state, and all quarrels, fights and difficulties with their loved ones are meant to make them see the ease of existing they should be feeling just as they are. Too many hazy issues might happen, and they could get bruised, tossed aside by someone they love, or devalued. However, they are to learn about the importance of all those things they bring into lives of others and find the point where self-acceptance turns to healthy interactions with the outer world. They need a sensitive partner with healthy defense mechanisms, someone who isn’t afraid to dive into the ocean of emotion, and someone to look them in the eye even when things become tough to handle. They are to bravely pursue the right instinct and feeling they wish to share and shouldn’t settle for less than what their heart truly desires out of romance. A person born on the 28th of October is sensitive, yet strong, and they may excel in anything from sports to cooking. The wide range of interests and abilities makes them hesitant and sometimes too hasty, but they will prove irreplaceable in times of crisis when a large number of people needs help. They are runners, archers, and boxers, as well as doctors, psychologists and healers, and for as long as they are emotionally stable enough and grounded, all they need to do is follow the talents that color their most joyful self. A good choice of stone for individuals born on October 28th is pyrolusite. It cleans the environment of negative energy and dispels all psychic and emotional attacks from other people or any source imaginable. This is a highly protective crystal which allows them to clearly feel where their own struggles are, setting up a clear boundary on energetic and emotional planes between them and other people. Evoking their courage and confidence to stand their ground and fight for their beliefs, it will aid them in taking a new path in life. 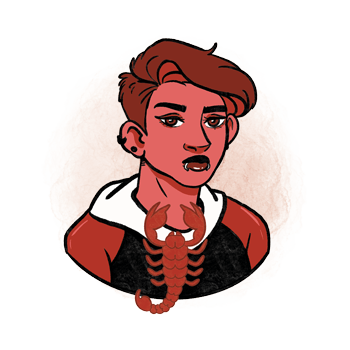 A birthday gift for a Scorpio born on the 28th of October can be anything from a kitchen knife or tickets for the football game they wish to see, to pancakes from their favorite bakery down the street. They will enjoy and get excited about any form of emotional connection and your choices should revolve around things they said, things you remember, while remaining tender even when dark humor is involved. In a constant attempt to be strong by dismissing their frailty, they might seem ready for things they truly don’t feel that good about so don’t go with any grand risks when they might be frail and in need of attention. Passionate, loving and ready to protect and serve their loved ones, they are providers for the family, those who take matters into their own hands when times are rough, and those who are willing to give up on themselves for another human being. Rushing into uneasy experiences, forgetting to listen to their heart and respect its wishes, they might become aggressive and destructive of self and others. Short-tempered and dismissive, they sometimes don’t see the bigger picture when cutting someone off from their life. In 1909 Francis Bacon was born, an Irish painter and illustrator, recognized for his raw, emotionally charged imagery. A shy child with an effeminate manner, he dressed up in women's clothes and this upset his father making him abusive. In 1955 Bill Gates was born, an American business magnate, investor, humanitarian and author, known best as the co-founder of Microsoft. He is also the co-founder of The Giving Pledge, whereby billionaires pledge to give at least half of their wealth to philanthropy for improving global health. In 1967 Julia Roberts was born, an American actress and producer who rose to fame with her role in Pretty Woman and won an Academy Award for Best Actress for her performance in Erin Brockovich. Her mother divorced her father when Julia was just a child, and married an abusive man, stating later that this marriage was the biggest mistake of her life. 1420 – Following the completion of the Forbidden City, Beijing is officially designated to be the capital of the Ming dynasty. 1492 – On the first voyage he made towards the New World, Christopher Columbus lands in Cuba. 1726 – The book "Gulliver's Travels" is published for the first time. 1886 – The Statue of Liberty is dedicated. 1956 – Polio vaccination is received by Elvis Presley (born on January 8th) on national television. 2007 – The first time that a woman is elected the President of Argentina.